Traveling involves a lot of arrangements–making travel plans, packing necessities, arranging visa (if going out of country), boarding and lodging, food, shopping and so on. The most important factor involved is the budget within which one has to plan the tour. Traveling to city like Dubai, one needs to have handsome cash in hand. One must search for hotels that are financially affordable. Dubai city offers hotels within all budget ranges. For ordinary travelers, budgets hotels offer comfortable stay within their financial means. Staying close to airport is the choice of most travelers on short stays. Cheap hotels situated close to the Dubai International Airport offer satisfactory services to visitors seeking pocket-friendly lodging. 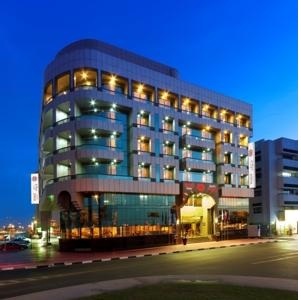 Few of the cheap hotels near Dubai airport are listed here. 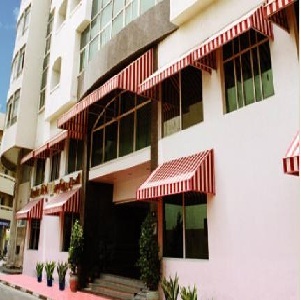 Dubai Youth Hostel is a pocket-friendly options if one is looking for a cheap hotel near airport. 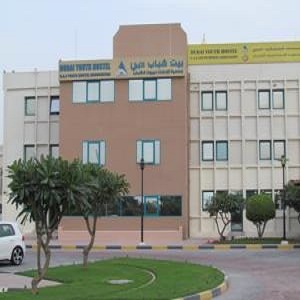 Located at Al Nahda Road, Al Qusais Area, it is only 8 km from Dubai International Airport and offers dormitories and private rooms. Prices start from USD 26 in air-conditioned, non-smoking dormitories (male/female). Hostel has a swimming pool, laundry, individual safe deposit boxes and luggage compartments, and wired internet in the business center available on payment. 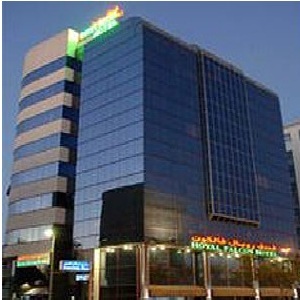 Royalton Hotel, Dubai is at 10 mins drive from Airport also connected by Union Metro Station. Royalton offers nice Air conditioned rooms with 24 hours room service, hair dryer and ironing board in each room, laundry, money changer, restaurant, bar, airport shuttle services and other facilities within comfortable cost starting from USD 46. Royal Falcon Hotel, only 5 km from Dubai International Airport, offers double/triple rooms and suites within a comfortably affordable price range. The hotel has a night club, heath center, restaurants and bar, room service, laundry, dry cleaning and ironing service, money exchange, fax and photocopying, concierge and ticket service, nightclub, Shuttle service and paid wi-fi etc. Per night rate starts from around USD 50. Ewa Hotel is only 15 mins drive from Dubai International Airport, offering 3-star facilities in price starting from USD 55. Rooms include single/double/twin and junior suite with air-conditioning and attached bath with free toiletries and hairdryer. Ewa provides room service, breakfast, dry cleaning, Ironing, laundry, money changer, shoeshine, a tour desk offering ticket services and rent-a-car facility, fax and photocopying, concierge and a restaurant.